Plate 122. Pratt, Anne. 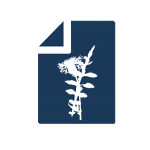 The Flowering Plants, Grasses, Sedges, & Ferns of Great Britain and Their Allies, the Club Mosses, Horsetails, etc. Volume 2. 1905. 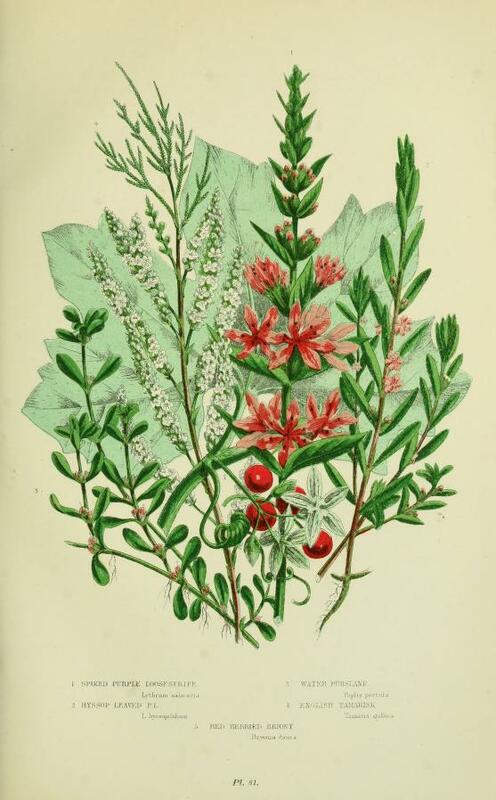 Contributed in BHL by The LuEsther T Mertz Library, the New York Botanical Garden. During the Victorian era, many gifted women participated in what has been called the “Golden Age of botanical art,” reflecting both a surge in gardening interests across English society, as well advances in book-making technology (Burns, Kramer). Though virtually unknown today, Anne Pratt (1806-1893) was one of the most prolific and popular artists and writers of this time, ultimately producing twenty published works that were loved for their handsome and accurate illustrations, and helping to create interest in flower study in the general public. Born in 1806 in Strood, Kent, Pratt was the second of three daughters to Robert Pratt, a successful wholesale grocer, and Sara Bundock, who helped instill a love of gardening, plants and flowers in her daughter (Kramer). Due to poor health, Pratt was often confined indoors, where drawing became a favorite pastime (Wikipedia). A friend of the family, Dr. Dodds, introduced her to botany, a subject in which women were encouraged to participate and considered particularly well suited – collecting, illustrating, decoupage, and writing were all acceptable activities during a time when society imposed more restrictions than not (Burns). Unmarried until the age of sixty, it is likely that Pratt’s only source of income was her botanical writing and illustrations (Burns). Pratt became a household name with Wild Flowers of the Year, issued in 1852-1853; after seeking her permission, she dedicated the book to Queen Victoria, who praised it and requested copies of all of Pratt’s works as a result (Burns). Pratt’s The Flowering Plants and Ferns of Great Britain is credited with generating a lot of interest in the general public in British flora by combining “easily digested science with miscellaneous romantic flower-lore” (Blunt & Stearn). 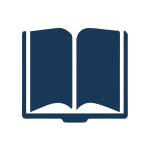 Originally five volumes covering the entire British flora, a sixth supplemental volume The British Grasses, Sedges, Ferns and their Allies the Club Mosses, Pepperworts, and Horsetails was published in 1873. Pratt begins volume one telling her readers that “one of the chief objects is to aid those who have not hitherto studied Botany,” and she briefly compares the Linnaean system of classification with various natural systems currently in vogue (Burns). Plate 102. Pratt, Anne. The Flowering Plants, Grasses, Sedges, & Ferns of Great Britain and Their Allies, the Club Mosses, Horsetails, etc. Volume 2. 1905. Contributed in BHL by The LuEsther T Mertz Library, the New York Botanical Garden. Which spreading Tamarisks on the margin hide. English tamarisk (4) with assorted other plants. Pratt, Anne. The Flowering Plants, Grasses, Sedges, & Ferns of Great Britain and Their Allies, the Club Mosses, Horsetails, etc. Volume 2. 1905. 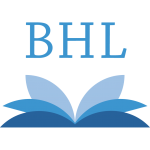 Contributed in BHL by The LuEsther T Mertz Library, the New York Botanical Garden. Though she is generally lauded for her artistry, Pratt has been criticized for lacking scientific credentials and it’s been debated whether or not she may be considered a true botanist (Kramer). 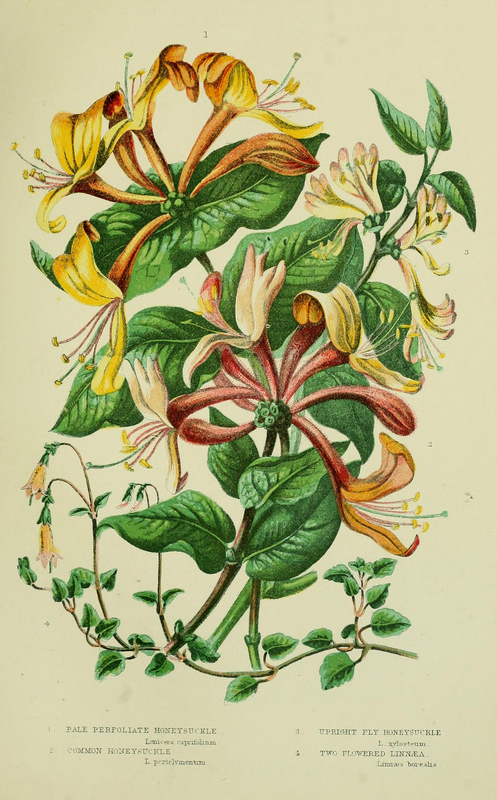 And, in some cases her illustrations have also been criticized; the illustrations for The Flowering Plants, for example: “are pleasantly composed, though owing to the limitations of the newly popular technique of chromolithography, not always very accurate in colour…the drawings which illustrate her book are her own work, though in their published form no doubt owe a good deal to the artists of the firm W. Dickes and co. who redrew them on stones” (Blunt & Stearn). As was typical for the Victorian era, Pratt downplayed her own work, such as in the opening of Flowers and Their Associations (1840) with the “hopes these pages may not be unacceptable” (Kramer). Though considered a “suitable ladylike pursuit” in the eighteenth century, the field of botany was also changing, “Botany, like other natural history avocations, was in the process of professionalization and was dominated by men” (Lindsay). Ultimately, Pratt was read by a wide audience, with the ability to “blend botany with the romance of nature–and thus fulfill two marketing niches–the demand for nature writing and flowers and the need for botanical knowledge for ladies” (Kramer). 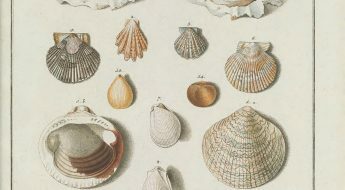 Regardless of any controversy over her credentials, most importantly Pratt’s books were appreciated on multiple levels, and reviving interest in Pratt’s substantial body of work is an important example of the BHL’s ongoing endeavor to preserve biodiversity literature and bring to light forgotten authors and illustrators. Blunt, Wilfrid, and William T. Stearn. 1994. The Art of Botanical Illustration. Woodbridge, Suffolk: Antique Collectors’ Club in association with the Royal Botanic Gardens, Kew. Burns, Mary. 2017. “Printing and Publishing the Illustrated Botanical Book in Nineteenth Century Great Britain.” Cogent Arts & Humanities 4: 1364058. Lindsay, Debra. 2018. 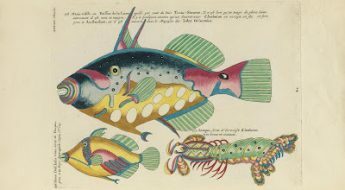 Maria Martin’s world: Art & Science, Faith & Family in Audubon’s America. Pratt, Anne, and Edward Step. 1905. The Flowering Plants, Grasses, Sedges, & Ferns of Great Britain and Their Allies, the Club Mosses, Horsetails, etc. London: F. Warne. Shteir, Ann B. 1996. 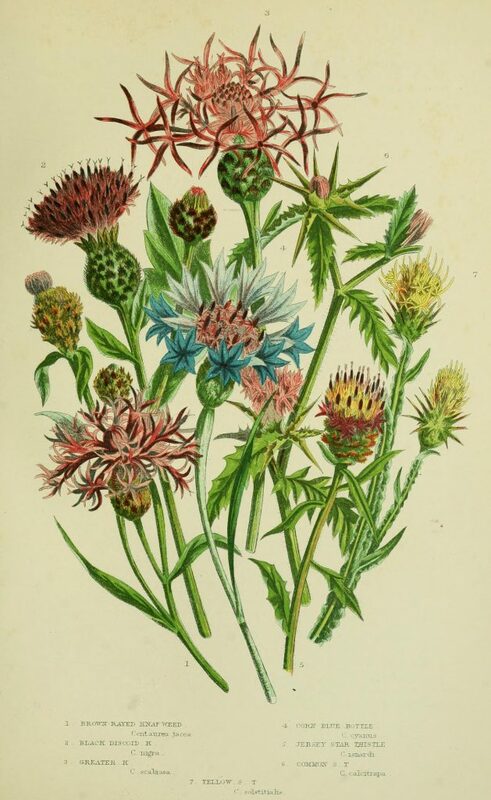 Cultivating Women, Cultivating Science: Flora’s Daughters and Botany in England 1760 to 1860. Walpole, Josephine. 2006. A History and Dictionary of British Flower Painters, 1650-1950. Woodbridge: Antique Collectors’ Club. Wikipedia, “Anne Pratt,” accessed March 12, 2019, https://en.wikipedia.org/wiki/Anne_Pratt. 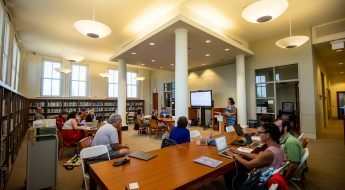 Gretchen Rings is Library Public Services Manager & Reference Librarian at the Marie Louise Rosenthal Library of the The Field Museum in Chicago, Illinois. In this capacity, she oversees reference services, interlibrary loan, and circulation and print collection management activities as well as helps interpret and display the rare books of the collection for visitors.